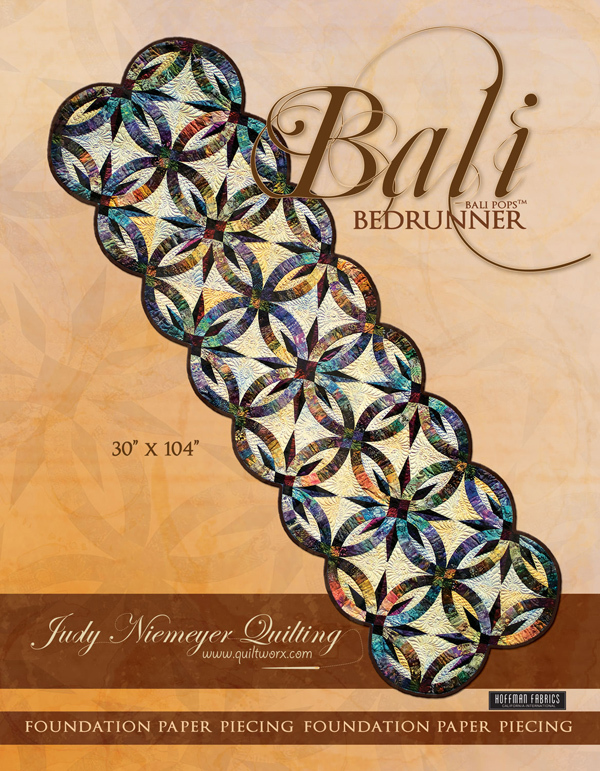 The Bali Bed Runner pattern is Judy’s original Wedding Star design downsized to a 2 ring by 8 ring layout, measuring 30” x 104”. 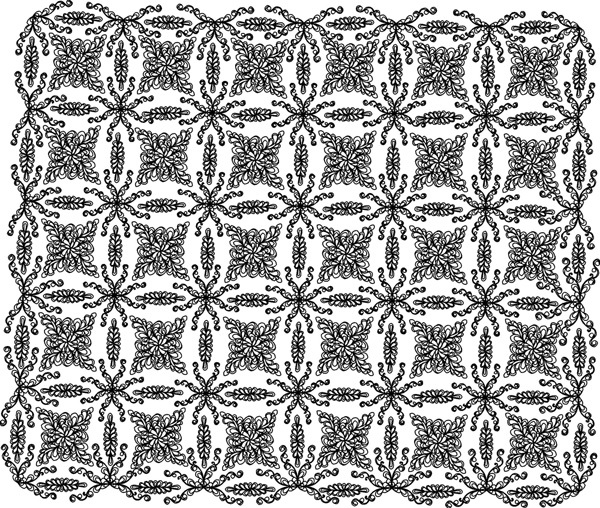 This Bed Runner will makes a great wedding gift for any modern Bride in today’s world. The project is small, making it affordable and easy to complete in a limited amount of time. 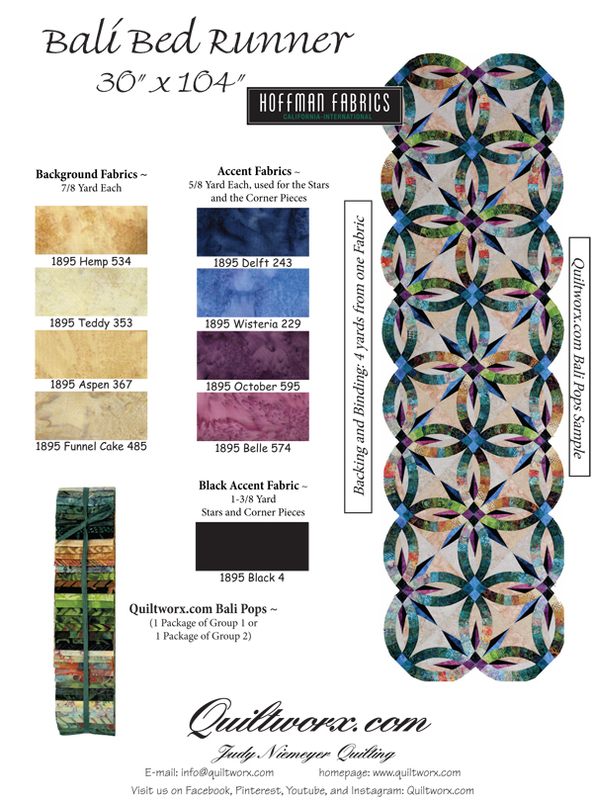 This design has become a classic in the quilting industry and is one that continues to sell more each year than it did the year before. One pre-packaged 2-1/2” strip set (48) count was used to complete the quilt on the cover. 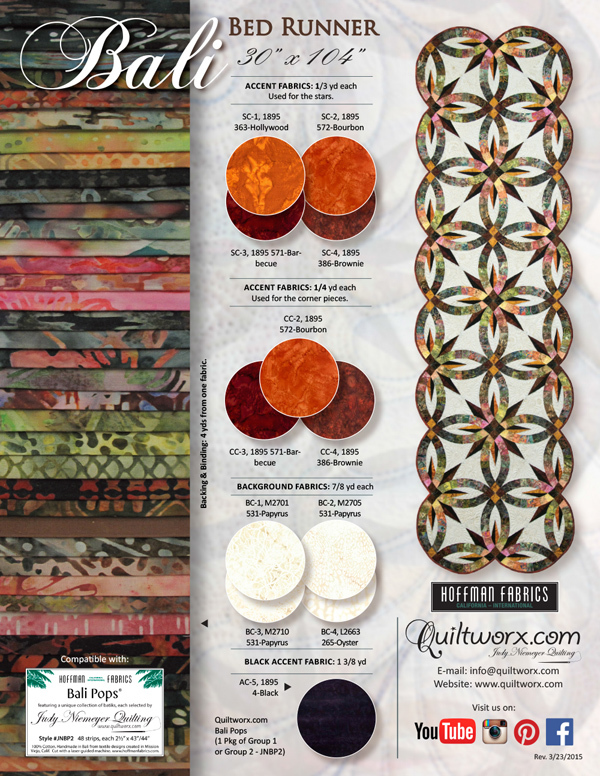 These strip sets are presently manufactured under the name Quiltworx Strip Sets by Timeless Treasures using Tonga Batiks designed by Judy and Judel Niemeyer. 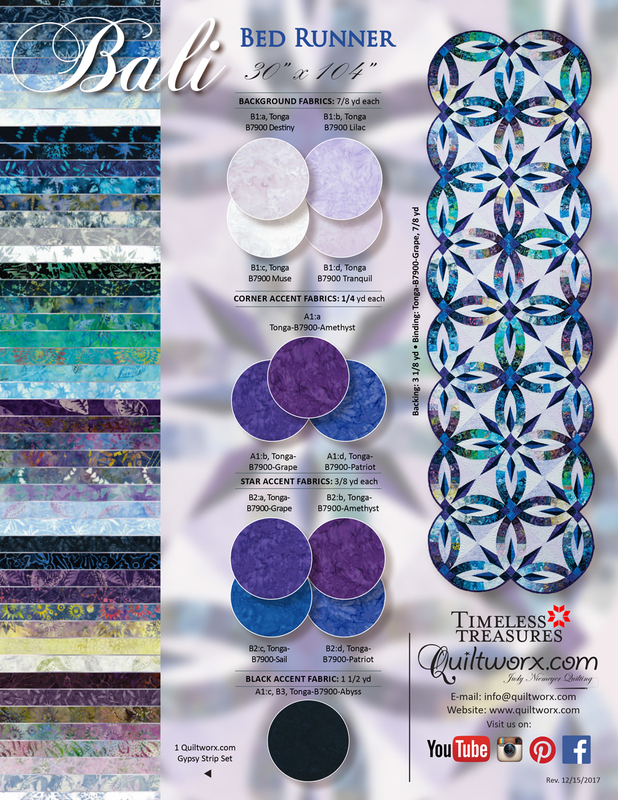 The strip set used are pre-selected and also pre-sorted by Judy and Judel Niemeyer to work perfectly with your wedding ring design by Quiltworx. The strip set on the coversheet is called Gypsy and was released in December 2017. Check your local quilt shop or favorite Certified Shop to find kits and more information on the 48 count strip sets created exclusively by Judy Niemeyer for her patterns! 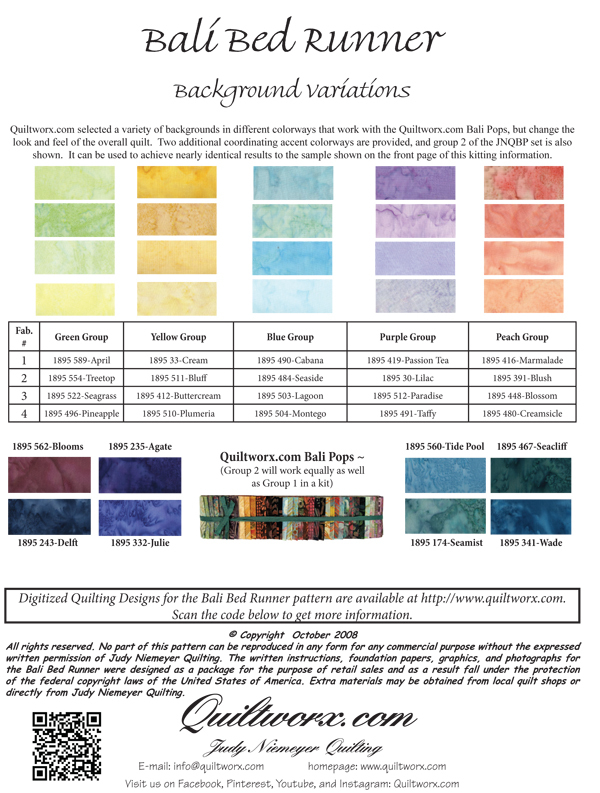 Quiltworx does not sell the strip sets directly to the public. Marika J. Senkár Ez tetszik!!! Bonnie Goodland I would like be to try this but I think it's out of my network! Although doing a smaller one like this might be doable and would make my couch look lovely. Should look for a class. Aspasia Bryant Nice. This will look good in my electric car back sest. 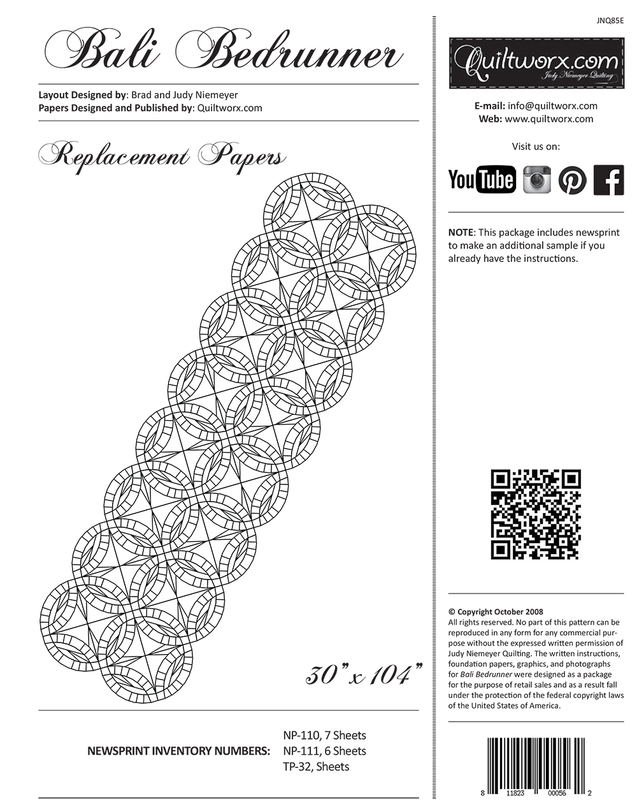 Janet Peters Is that paper pieced? Marilyn Lancaster Bonnie that would look great on your couch! Karen Doig That is beautiful! Love the colors. Kathy Nyquist Joel and Emma liked it! Eileen Harkin It is beautiful but would make me dizzy. Madonna K Sering-Rawley I hope mine turns out half this nice! Catherine Rhodes I absoooooolutely LOVE it!!!!! Sheila Nish Seward A good size to start on. Nancy Carpenter Love this quilt. I made my daughter one and also my mother. 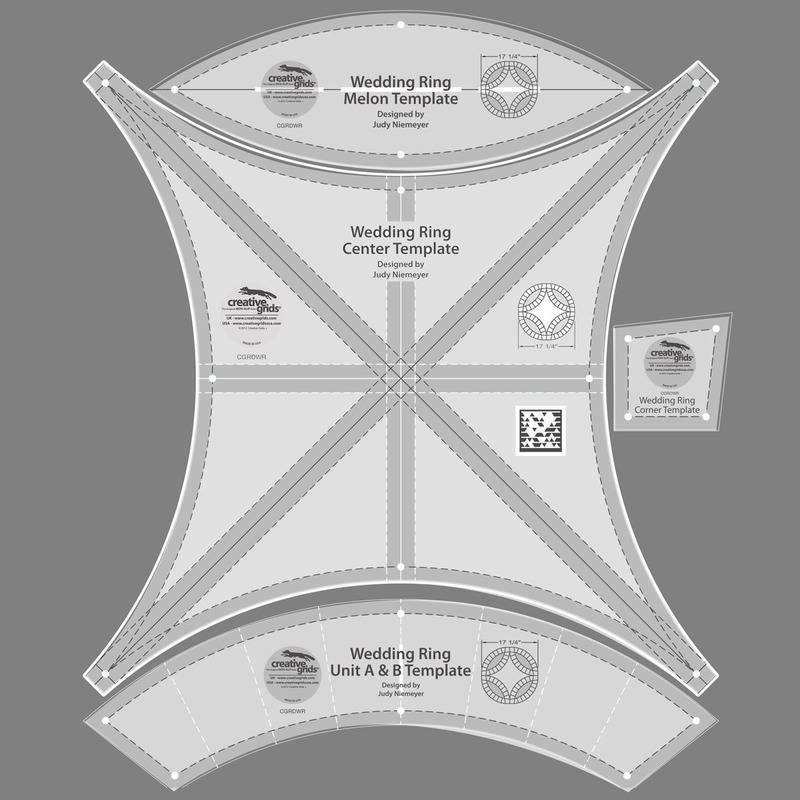 JJ Johnson Denise Wright Eckhardt what do you think about working on our bed runner in December... If I can find mine. Cathy Ostler Great color choice! Susan Lanham Lee Omg! I recognize the civil war under it! 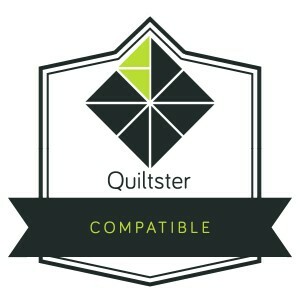 Made that painful quilt! 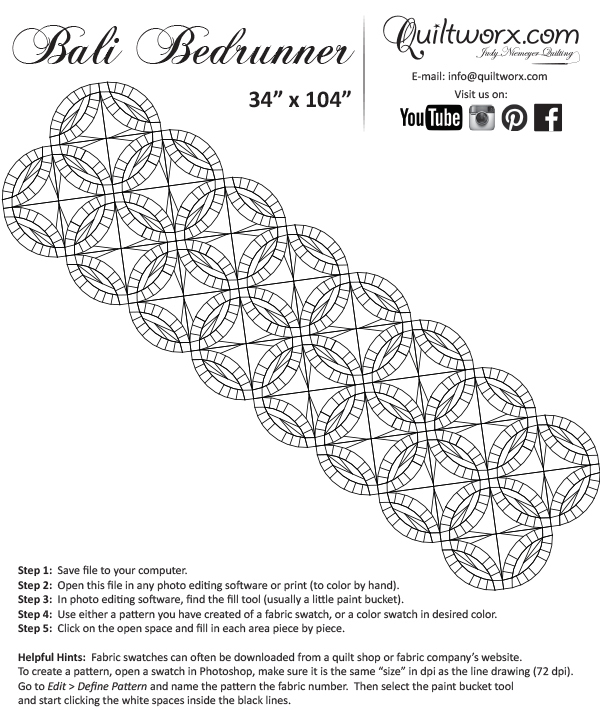 Bernice Williamson Friesth I have a bed runner in the making, just like this pattern, It is on my list to finish it. 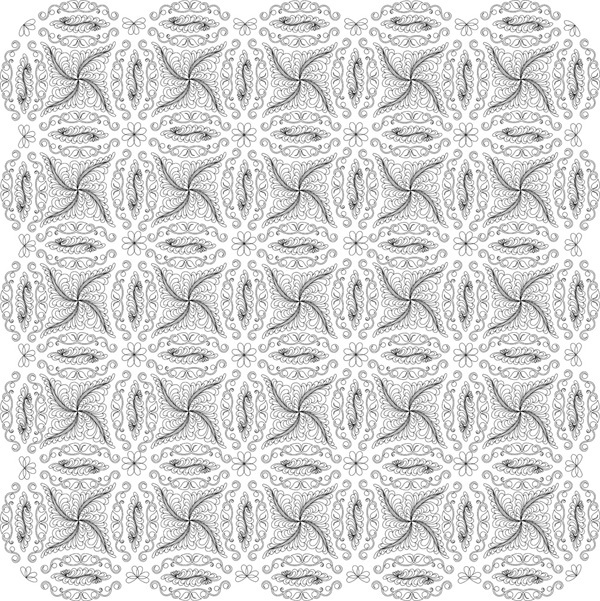 Dorothy Patton Dicus I made 2 king and one full of the Bali Wedding Star .Love the pattern. Susanne Rosenberg Printz Wunderschön. Wo bekommt man die Anleitung? 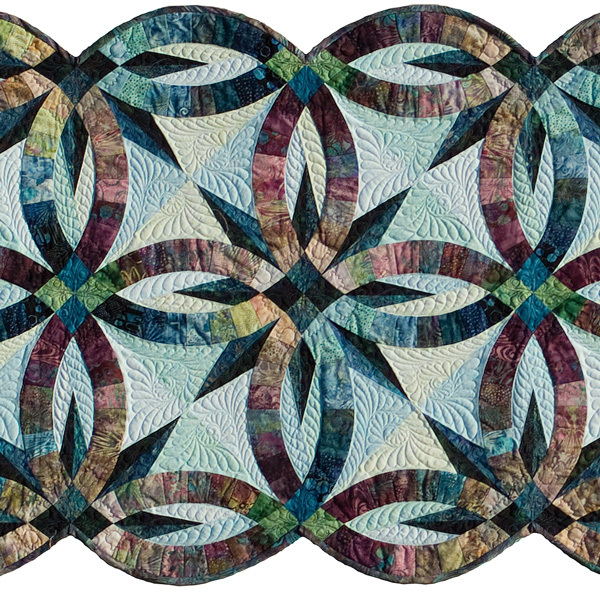 Hazel Carpenter A beautiful quilt! 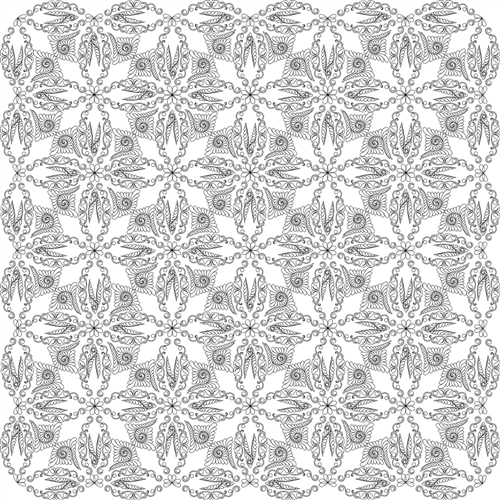 Deborah Hargreaves I have the pattern. Half afraid to give it a shot! Judy Sumner Warren Love it. Did you use a jelly rol and if so which one? Carol Bilodeau Beautiful,,,what background material did u use? 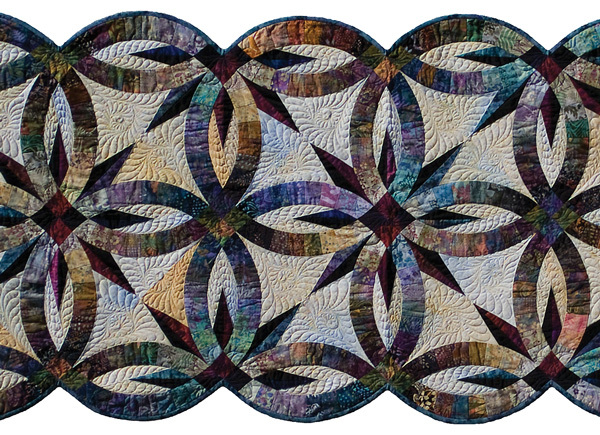 Sherri Harnock Love this pattern!